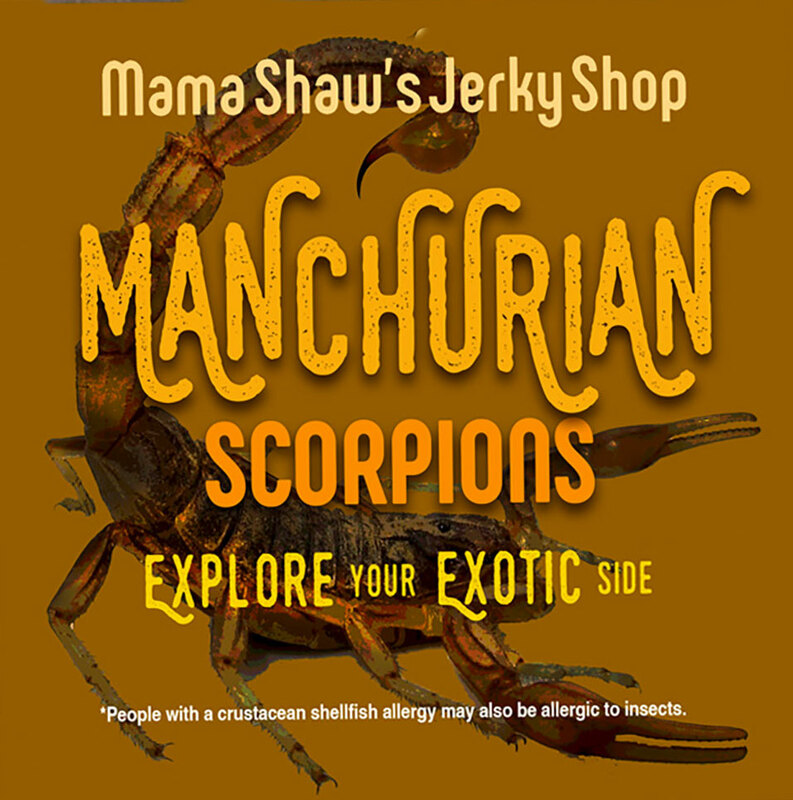 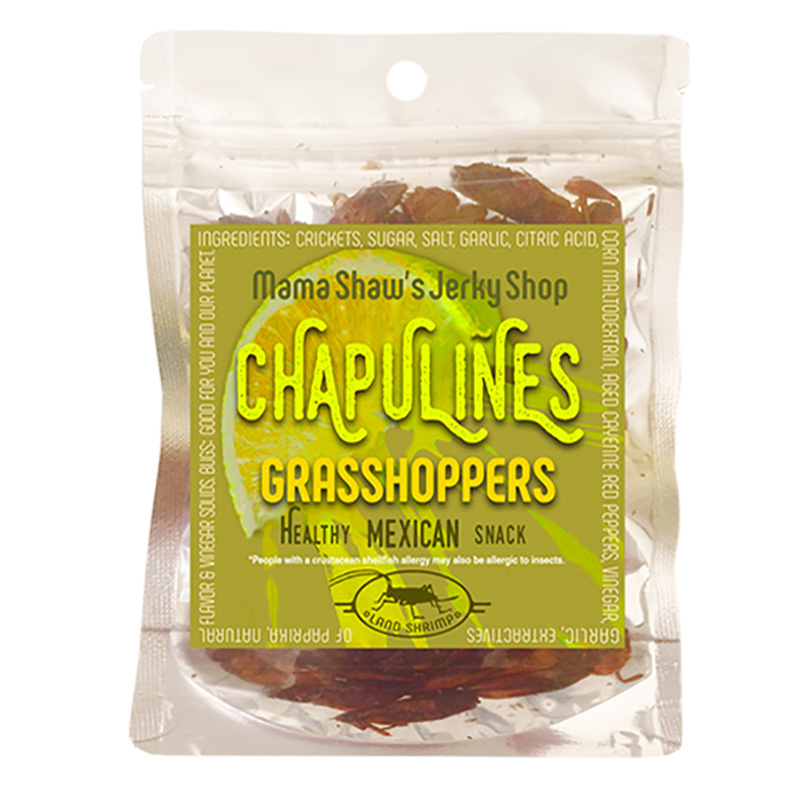 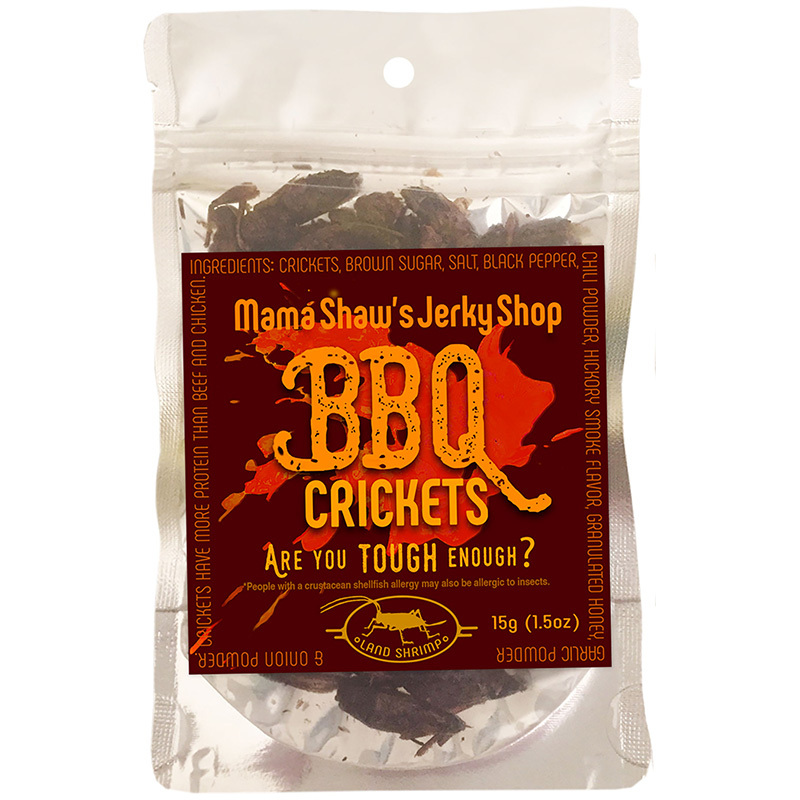 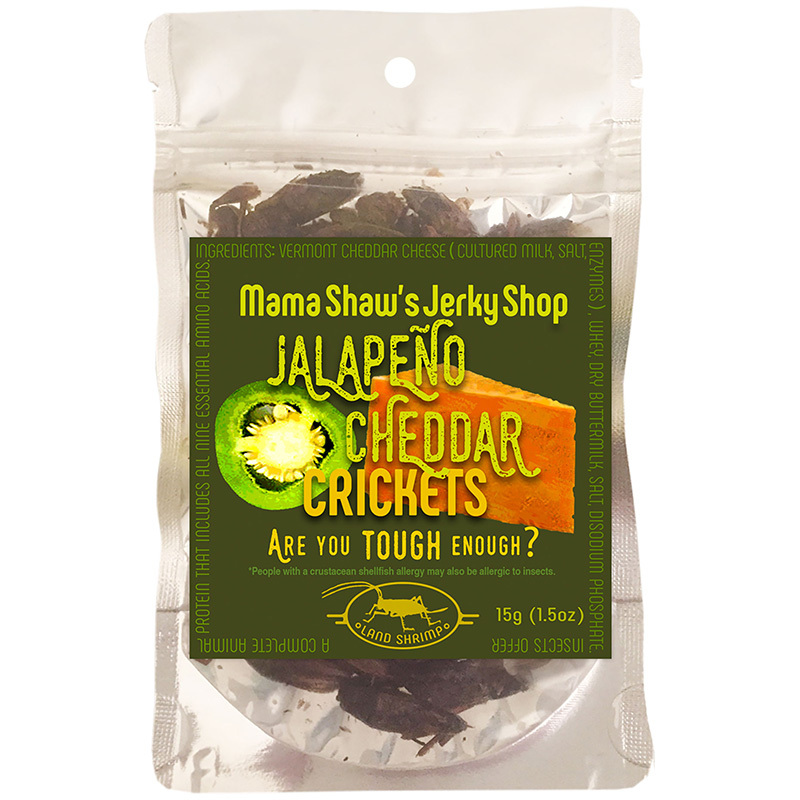 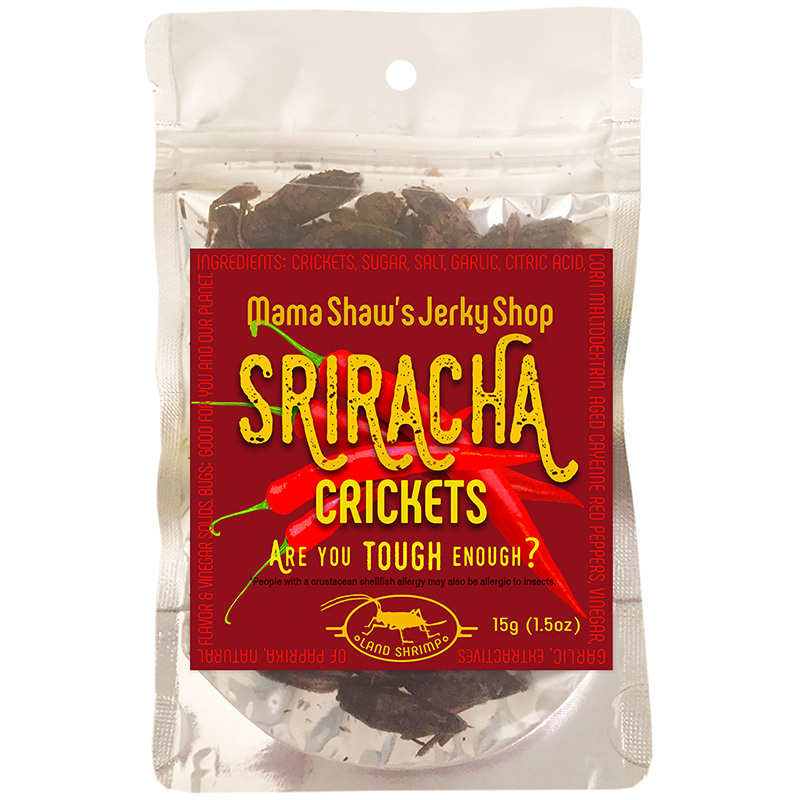 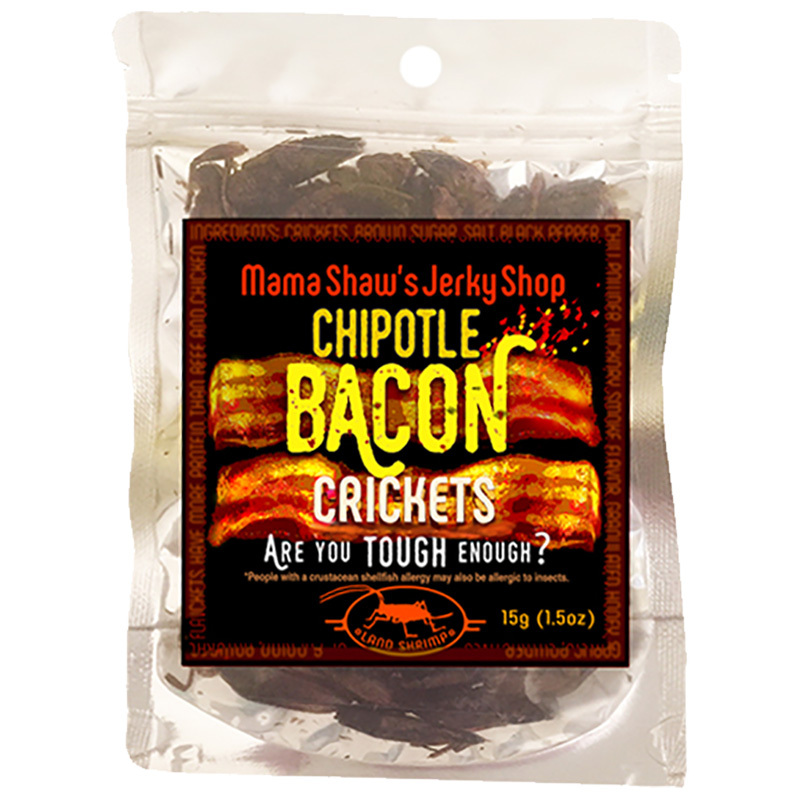 Mama Shaw’s is a line of private label edible insects. The text “Mama Shaw’s Jerky Shop” can be changed to the text of your choice. 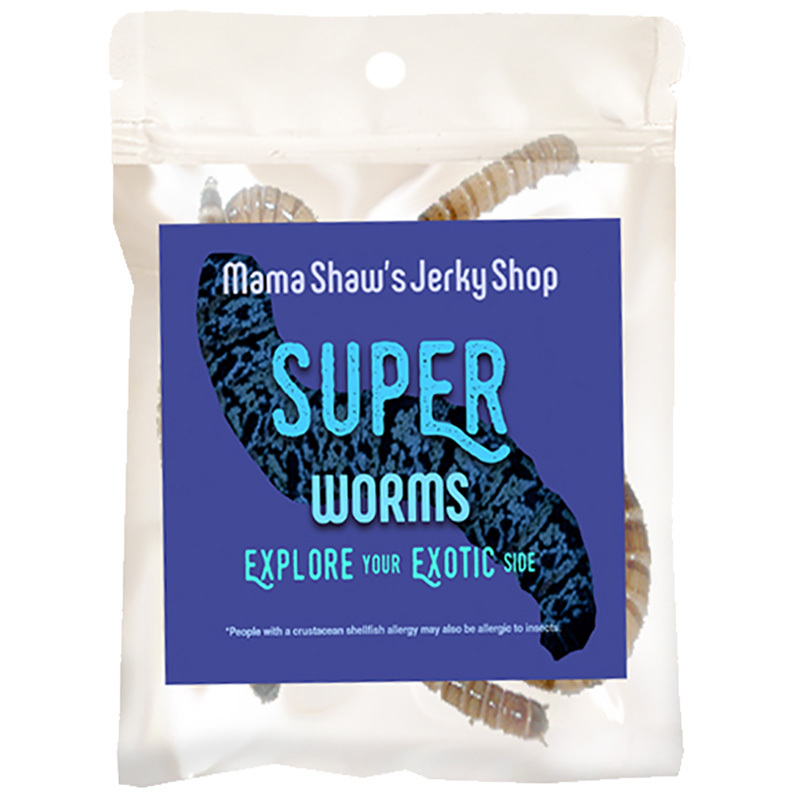 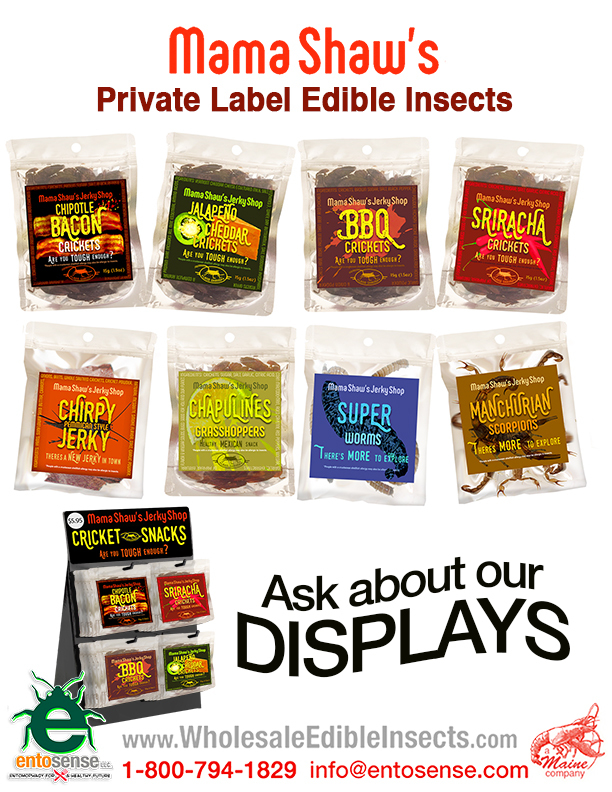 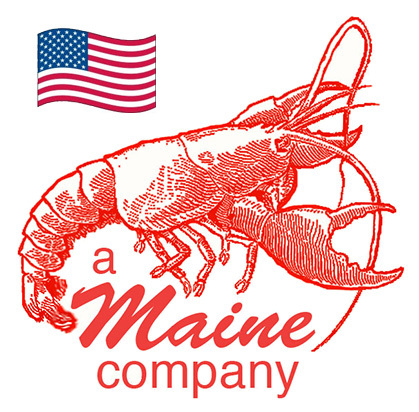 Mama Shaw’s offers an easy to display line of edible insects that you can private label with your company name or event. 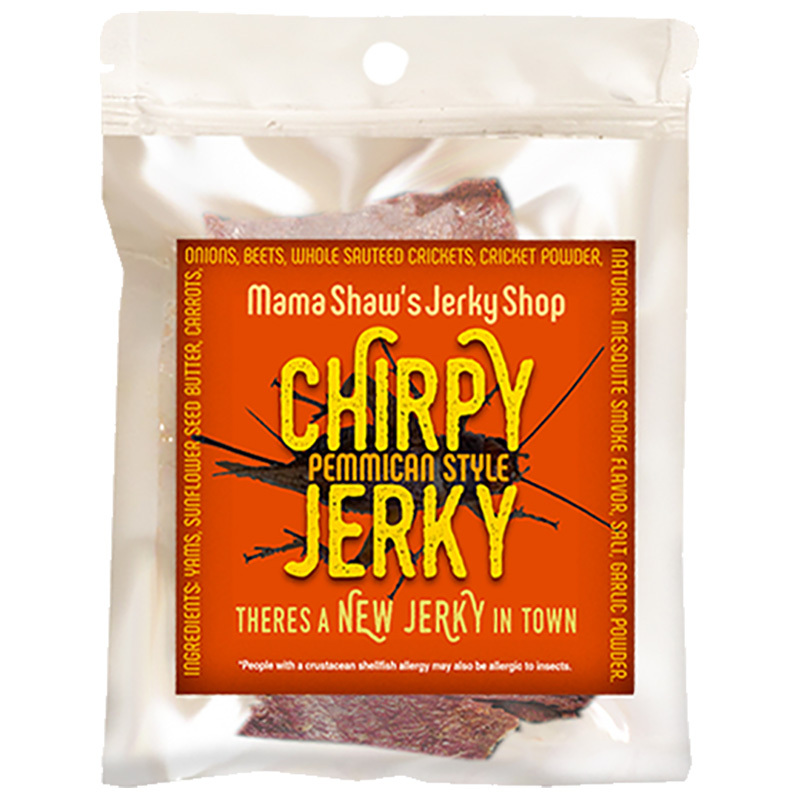 With a low minimum order of $130, the name “Mama Shaw’s Jerky Shop” can be changed to the text of your choice. 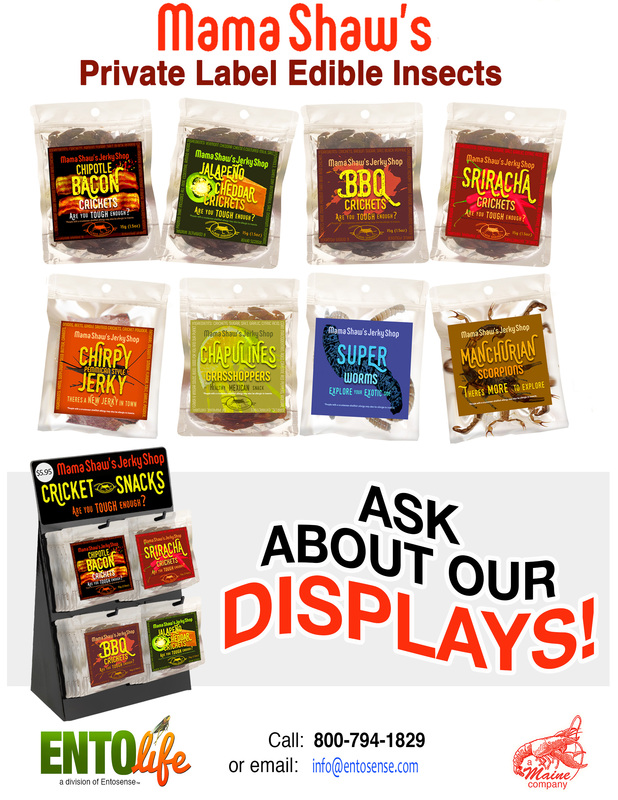 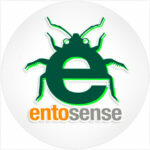 With orders over $2500, you can have a completely customized label. 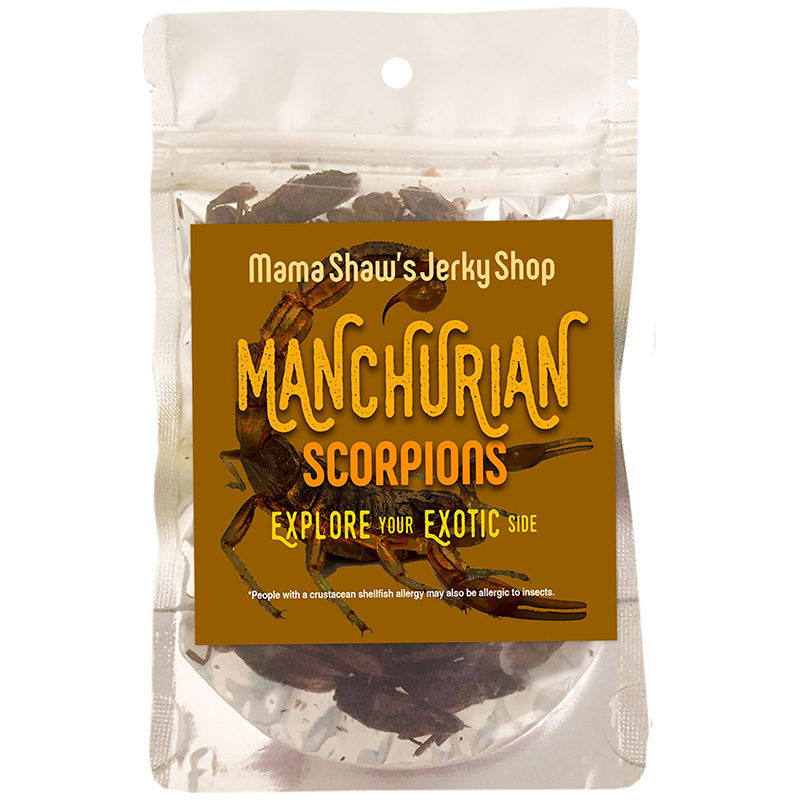 Package Weight: Varies Minimum Order: 3 pcs. 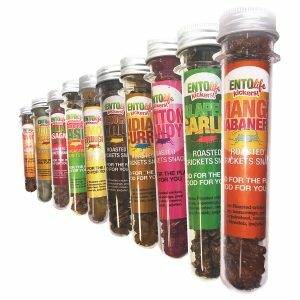 Each Mini-Kicker is $2.95 ea.